Auditions for Dorchester Drama’s summer production of Twelfth Night takes place on Tuesday 1 May 7:30pm in the Sunninghill School Music Room (see map on previous post). All are welcome (members and non-members). The production will take place at the school on Thursday 19th to Saturday 21 July and is being directed by Anne Reeve, who bought us Treasure Island and A Christmas Carol. So come and join us!! There are a series of three workshops being led by Anne Reeve, Lee Stroud and Georgie Willis running on Wednesday11th, Wednesday 18th and Wednesday 25th at Sunninghill School based on “Working Together”. ALL ARE WELCOME, free for members, £1 for non-members; free refreshments. So if you want to come and have some drama fun come and join us. If you are bringing a car come in the Culliford Road entrance and drive carefully round to the School. We can park in the area by room 10. 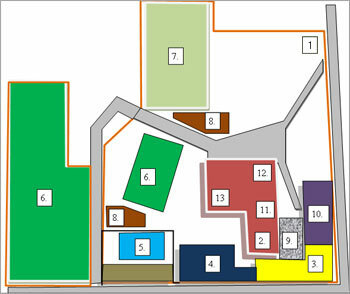 Then coming through the gates and playground down to room 3 and just before turn right and you will find room 4. We will make sure that a few of us are outside to help new comers find their way!